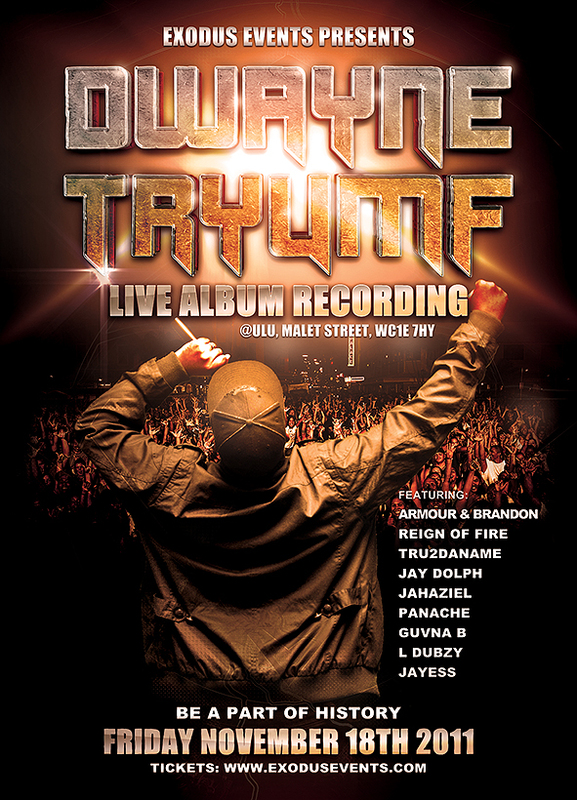 Dwayne Tryumf has announced he will be recording his new album in front of a live audience. Following on the back of his Beginnings mixtape released earlier this year and his fantastic 777 album, his next effort will be recorded in front of a crowd in London and will bring a whole new flavour to his music. When did you last hear a live hip hop album? Exactly! This will be a unique night and will feature a number of other British lyricists. Jahaziel, Tru2DaName, Guvna B and L Dubzy are also on the bill. Shout out to the 🇬🇧 artists who supported @datin_tripled at his London show last night. @_shanteh_ @feedemartist @ministertaf we love you!